Celebrate today by creating something magnificent and uniquely YOU! 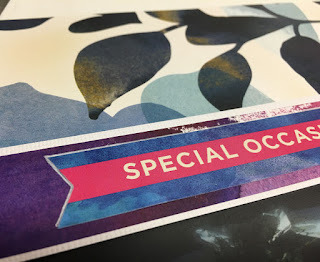 Whether you are new to scrapbooking, or an expert! Our Design Team has crafted a variety of fun projects to inspire you. 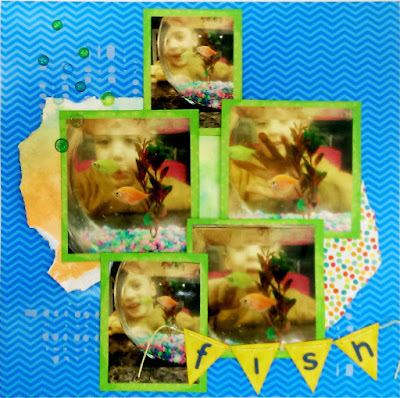 Then, head over to FotoBella to find a variety of Memberships and fun products to fit your scrapbooking style! I used Bo Bunny's You're Invited I Want It All Bundle, Brads, Layered Chipboard, Ephemera, Chipboard, 12 X 12 Collection Pack, Bo Bunny Floral Stamp, Black Diamond Stickles, Goldenrod Stickles, Picked Raspberry Distress Ink, and Wink Of Stella. What better day to feature my favorite landmark in the world! Happy International Scrapbook Day! I started this tag by tearing a piece of the book page from the Ephemera, and glued it to the small, light pink lined paper that also comes in the Ephemera. Then I spread some gesso over it. After drying, I used the Alpha Stickers for "I" and "Paris" as a mask, when I covered them with sprays and Picked Raspberry Distress Ink. I outlined the letters with a black Sharpie, and colored the insides with a Wink Of Stella (Clear) for some sparkle. The Eiffel Tower was cut with my Cricut Expression onto black cardstock, and covered with Black Diamond Stickles. 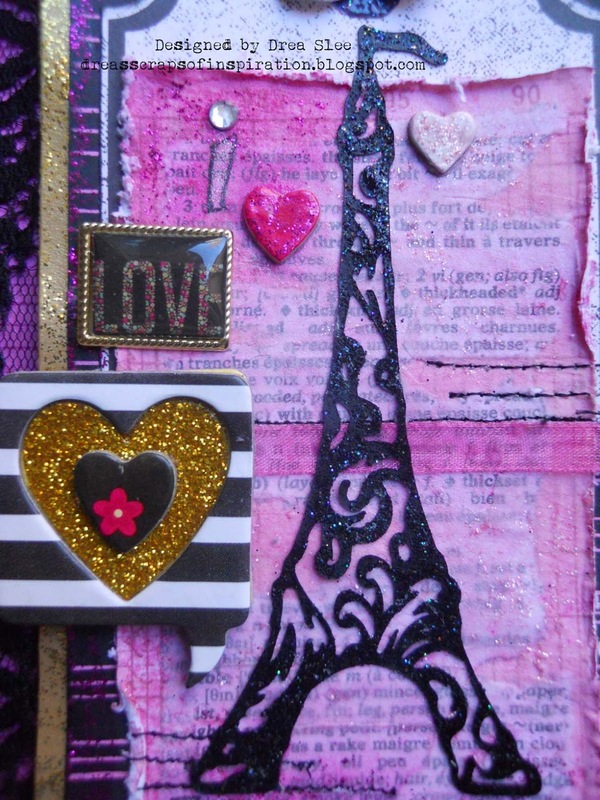 I used other Stickles over the papers, small chipboard hearts, and the gold bottom layer. The flower was stamped and embossed with the Bo Bunny Floral Stamp, and colored with Picked Raspberry Distress Ink, which I had leftover from another project. Then I just added my brads, and gold sparkly heart that I got from the Layered Chipboard. 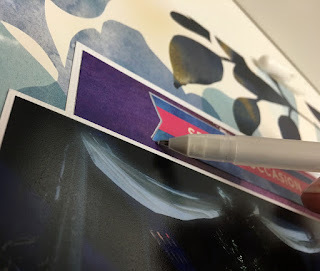 My tip is to highlight elements in a project, such as a sticker by outlining it with a white gel pen (shown in photos) when against dark colored paper or a dark inked pen when against light colored paper. It makes the element pop out from the page with one quick and easy step. Pocket letters have taking the scrapbooking world by storm! The concept is easy and fun! Pocket Letters are simply pen pal letters in pocket format! It's very similar to the Project Life system that is so popular with scrapbookers right now. All you do is fill the pockets of a 9-Pocket Page Protector and send the whole page to your pen pal or swap partner! You fill the pockets with items such as stickers, tea bags, ephemera, washi tape samples, or photos. A letter is included and tucked into one of the pockets. Then you fold it up so that it fits into a legal-size envelope, and put it in the mail! 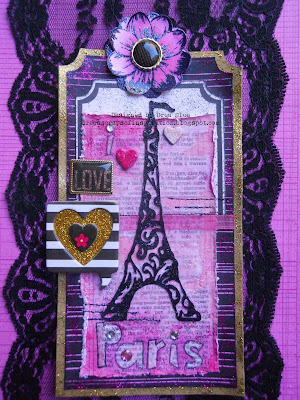 So join me in celebrating national scrapbooking day by sending an old friend a pocket letter! You'll have fun making it and your friend will have even more fun receiving it! Head over to our Facebook page and post your crafts.